Launching on Tuesday, September 4, NBC Sports Radio has revealed the list of stations that will carry their programming. Including those eight the Erik Kuselias show will clear 42 stations at launch. Amani Toomer and Eytan Shander, airing from 10pm to 1am will air on 65 stations, while Dan Schwartzman from 1am to 5am has 13 affiliates. 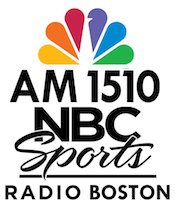 Clear Channel’s “Fox Sports 1410” WPOP Hartford, Lincoln Financial Media’s “1600 The Zone” KEPN, Red Zebra’s “Sportstalk 570” WSPZ Washington DC, “102.1/1490 The Game” WXTG Norfolk, and “ESPN 950” WXGI Richmond. Bloomberg’s 1130 WBBR New York and Clear Channel’s 950/102.9 KJR Seattle are among the larger stations that will just carry the sports updates. The entire affiliate list can be seen at NBCSports.com. Some interesting choices for the first batch of NBC Sports Radio affiliates to be sure. Interesting that KJR 950/102.9 in Seattle is on the list. Even though they’re carrying only the sports updates at the moment, it’s interesting because it seems like there might be some dissention in the ranks there. Maybe FSR isn’t performing as well as KJR thought it would and they wanted to get an alternative in there as far as a network goes, and this is the perfect opportunity for them. Wonder if the combination of NBC and CBS having sports radio networks now will lead to Fox Sports Radio and Yahoo Sports Radio dropping off in their affiliate counts? On the affiliate list, I also noticed an AM station(KWLE) in Anacortes, WA and an AM station in Shelton, WA(KMAS) among the stations that will be carrying(according to the list) one or more of NBC Sports Radio’s shows. I’m also wondering if because of NBC Sports Radio and CBS Sports Radio more smaller news/talk and music stations will at least think about moving to all sports because of the new networks? I’m reminded of a research piece out of a major market that I saw. The median age of the conservative talk station was 57. The moderate talk station? 49. The median age of the sports stations? 36 and 47. The Salem News/Talk station? 62. The former nostalgia station that now plays soft MOR? 78. If I owned a crappy AM station, I’d rather take a crack at sports and go after the people who haven’t turned 50 yet before signing up for a bunch of third tier political talk shows and trying to turn a buck from a geezer audience. There’s more money in beer. It’s the Silver Anniversary of NBC’s exit from radio – thinks to GE’s Neutron Jack Welch. Now NBC is coming back? OK, Dial Global is using the NBC “brand.” Maybe they will do better than Westwood One’s “NBC Radio News.” Or NIS. Or the Source. Or Jay Leno in prime time. Maybe. Maybe not. This actually is being run by NBC itself. Dial-Global is providing distribution purposes. I’d almost compare this to TalkNet in how it is being built. Who knows. Could Dial-Global and Comcast eventually come together one of these days? 10 till noon. Red Sox in Spanish, college sports, etc, continue. Progressive talker Jeff Santos will be on till the Nov. elections.